Welcome to Our German Shepherd Dog of the Month Page! Here is where we post the most recent information about the dogs or puppies that have been chosen as our monthly winners. And if you want to see past winners, please visit the archive links at the bottom of this page. There you can see all the archives are easily divided into yearly winners. There were a lot of really great entries of both German Shepherd dogs and puppies - I'm really glad the judging wasn't up to me again because I think they're all great shots. And it is so nice to see the variation in scenes submitted, the various colors of the German Shepherd dogs and puppies submitted and also to read all the great stories sent in by all our readers. 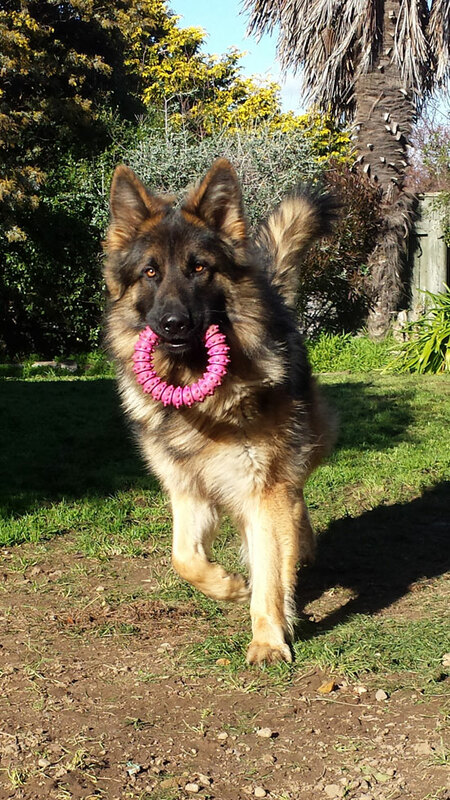 Here Is Our GSD of the Month - November 2014! Meet German Shepherd Ruckus. 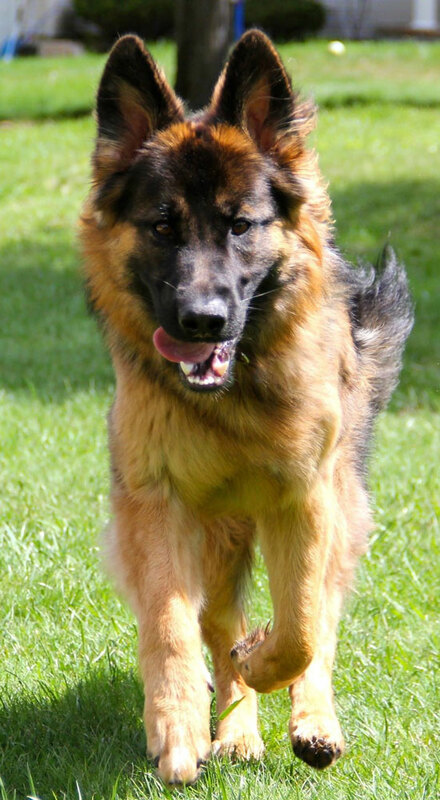 Congratulations on becoming our November 2014 German Shepherd Dog of the Month winner! Way to go! There were so many great entries submitted again this month that it was really tough for our Guest Judge, a German Shepherd owner herself of well over 28 years, to make a choice... but I locked her up until she made a decision anyway - and here are her other choices for this months German Shepherd Dog of the Month contest winners too - have fun browsing through all the wonderful German Shepherd pictures here! :)Thanks so much to everyone who took the time and submitted photos of their beautiful German Shepherd Dogs and puppies. Again, we had many more entries than in the previous months so judging again took a little longer than we expected but thanks to all of you for being so patient. "German Shepherd Axel in Action"
"German Shepherd Blair in Action"
Now, all you German Shepherd owners out there, people really seem to love this contest already and want to see even more German Shepherd pictures! So, how about sending in your best and favorite German Shepherd pics to me to enter into next months contest? Your GSD could be chosen as the latest and greatest German Shepherd of the Month to be featured on the home page as well on the GSD of the Month page. 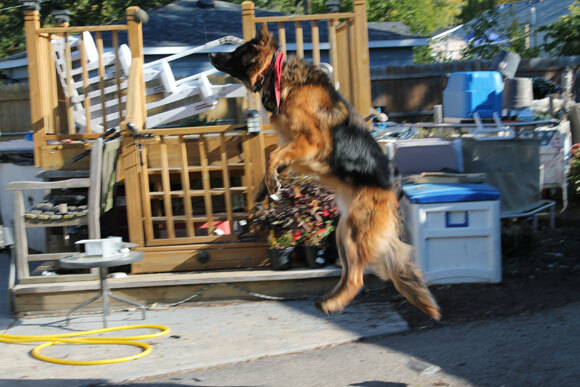 Not only do you win our GSD of the Month contest, but you get bragging rights too! What a deal!